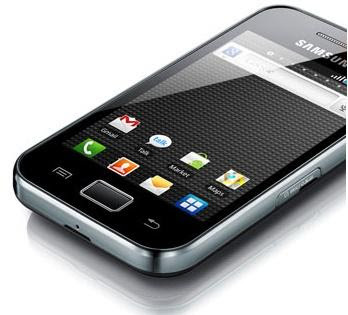 The Samsung Galaxy Ace S5830, which was supposed to be launched as the Galaxy Cooper in the country, is in stock and selling for Rs. 14,990. This iPhone-lookalike has a decent set of features like a 3.5-inch HVGA (320 x 480 pixel) screen, 5 mega-pixel camera, 800 MHz processor and runs Android 2.2. Anyway, if you don't know much about it then you can read more Below. That's quite an attractive pricing and a good Rs. 3,500 cheaper than the DEFY. You will loose out on the tough tank-like build quality and the slightly bigger but higher-resolution WVGA (854 x 480 pixel) display. In return, you'll get Android 2.2 out of the box. Dimensions-wise, it's more or less the same foot-print as the DEFY (actually a little thinner), and that's a good thing. So, if you were to choose, which one would it be? Or are you waiting for even better phones in the same price-range to arrive from other manufacturers? In the past few months, we looked at what was available for the value-conscious Android phone buyer. As it stands now, the LG Optimus One P500 surfaced as the best of the lot. But best of the lot does not mean the best overall. The missing gap for a worthy Android phone between the Rs. 15,000 to Rs. 20,000 price range was so wide, that it made me pour my heart out. The recent leaks of upcoming devices are pleasantly surprising as they are exactly what I was talking about. The following are three tempting Android phones that you can buy without mulling over a compromise on features, and yet will not make you feel guilty that you've paid too much for it. None of these handsets are available in India yet, but we hope they will come to us soon. Out of these, two are expected to be shown at the Mobile World Congress next month, while the third one is selling elsewhere already. When it was first shown in spy-shots a few days ago, it was termed as the Galaxy S Mini; a co-incidence to something we imagined months ago. But after revealing further details, we have a much better picture of what we're gonna get. A 3.5-inch capacitive display with an HVGA (320 x 480 pixels) that resembles the first three iPhone models. While it's surely not a Super AMOLED type (Samsung Wave I), we don't know whether it is of an S-LCD variety (Samsung Wave II) or just a typical LCD one. Either way, we'll take what it has to offer -- at least the 3.5 inch size will provide that extra width (as compared to typical 3.2 inch ones on many Androids) for a better spaced-out virtual keyboard. Second, it runs Android 2.2 (Froyo), which may not be as recent as version 2.3 (Gingerbread), but we can at least keep our hopes a little high about it updating to 2.3 some day. Either way, you won't be missing out on the game-changing features like Wi-fi hotspot, ability to install apps on an SD card, Adobe Flash support etc., with Froyo. Moving on, its 800 MHz Qualcomm processor should hopefully iron out those random sluggish instances experienced on phones with a 600 MHz Qualcomm processor (like the Optimus One P500). In the sub Rs. 15,000 Android phone range, there's not a single phone that has a good mix of camera features. Most have a measly 3 megapixel resolution with varying disparity -- some have autofocus sensors but no LED Flash, some have fixed focus with an LED flash, while the worst of the lot have neither. I'm glad that the Samsung Cooper will have a 5 megapixel autofocus unit with an LED flash. And if its anything like the sensor on the Samsung Wave or Galaxy S, then I'm sure we'll be able to click fairly good quality snaps on it. However, there is no news whether it does 720p HD video recording. As for connectivity, it's pretty much sorted just like the others out there (GPS, Wi-fi 802.11n, 3G). It will also feature DLNA for wireless media streaming to a compatible device. A 1350 mAh battery sounds moderately adequate. Unfortunately, there doesn't seem to be a front-facing camera, at least in the pics we've seen till now. To all people enthusiastic about video-calling - I feel your pain. It sells in Thailand for roughly Rs. 16,246. If Samsung gets the Galaxy Cooper here at that price, it'll probably be the best thing for people wanting to own something like an iPhone without going bankrupt (saw how similar they look?). We can't share our enthusiasm enough to get our hands on this baby!